Among the prominent sitters for the Austrian artist Wilhelm Viktor Krausz (1878-1959) was Sigmund Freud, the father of psychoanalysis. 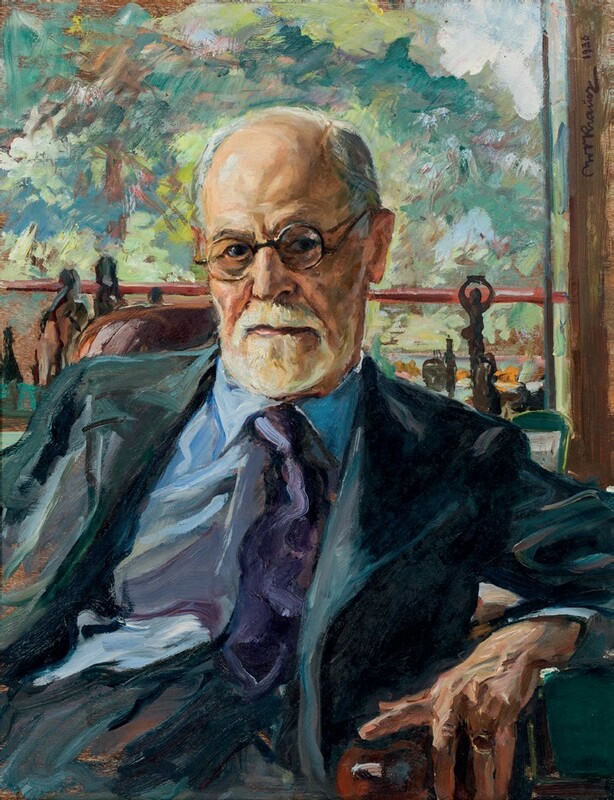 This portrait in oil of Sigmund Freud, the father of psychoanalysis, by Austrian artist Wilhelm Viktor Krausz is estimated at €15,000-25,000 in the February 26 auction at Kinsky in Vienna. A portrait in oil, 2ft 4in x 22in (72 x 56cm), is coming up for sale at Kinsky in Vienna on February 26. Krausz had a varied artistic career, among other things spending the years 1915-17 as a war painter in the Balkans. It was during this time that he painted the first known portrait of Mustafa Kemal Atatürk, then a young soldier, who went on to become the founder of the modern Turkish republic. The portrait of Freud was executed in 1936, two years before he left Vienna to live out his final years in London. It was consigned to Kinsky by an Austrian collector, who purchased it at the same place in 2006, when it was valued at €18,000. This time around, the estimate is €15,000-25,000.